V. Joe Mandola, M.D. is a family medicine and sports medicine physician serving patients ages 6 and up. Dr. Mandola attended Texas A&M University in College Station, Texas for his bachelors in science and earned his medical degree from St. George’s University School of Medicine. 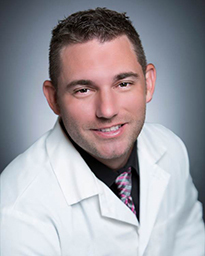 He then completed his residency training in family medicine at Houston Methodist in the Texas Medical Center and went on complete his sports medicine fellowship training at Houston Methodist Orthopedics and Sports Medicine. Dr. Mandola treats a variety of conditions, both acute and chronic. Some of these include diabetes, hypertension, arthritis, as well as, concussion management, fractures, sprains, other sports injuries and much more. His clinical interests include preventative medicine, specifically how to prevent injuries when patients embark on new adventures such as running a marathon or trying to achieve a new athletic goal. Dr. Mandola believes in building a strong relationship with his patients to build an individualized treatment plan for each patient. He takes the time to listen to his patients and strives to provide the highest quality of care. In his spare time, he enjoys spending time with his family, as well as playing and watching sports. He particularly enjoys being on the water, skiing, wakeboarding and fishing. As a former multisport athlete and someone with strong family values Dr. Mandola is dedicated to enriching the health of others in those arenas. V. Joe Mandola, M.D., practices at Memorial Hermann Medical Group Sugar Land Primary Care Sports Medicine. Family medicine doctor Vincent Joseph Mandola, M.D., has joined Memorial Hermann Medical Group Sugar Land Primary Care Sports Medicine.